After finishing my arrow archer, I decided another one was in order. 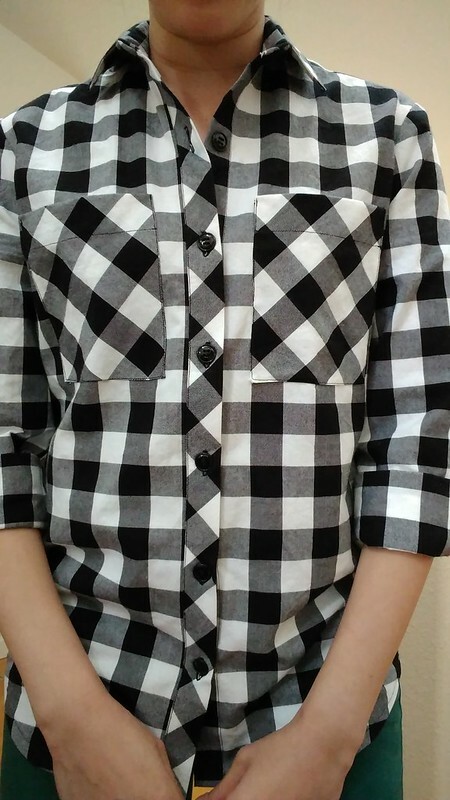 I’d been wanting one in a black and white gingham so I found the fabric on fabric.com and proceeded to cut it out. One change I made to this version was to lengthen the body by 2 inches. 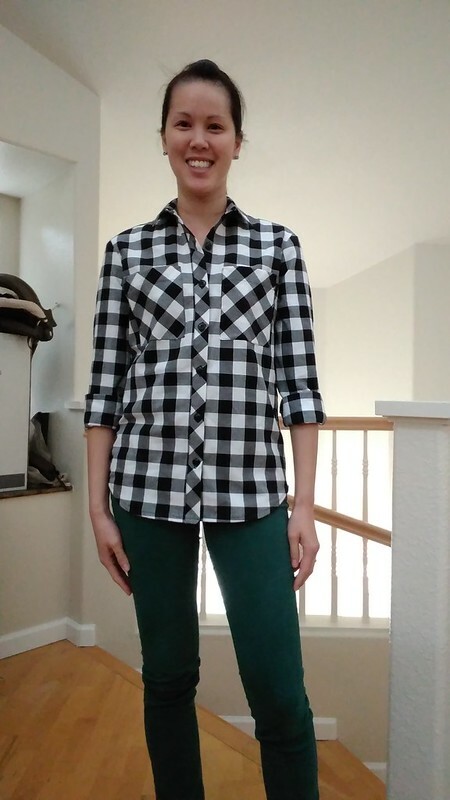 When I cut it out, it looked a bit long, but after sewing it and putting it on, I decided that it’s the perfect length. I actually really like it with the sleeves rolled up. Another successful Archer! After this, I was ready for a few quick sews which I will blog about soon. I’m already planning for a couple sleeveless versions for when we head to Australia and Singapore in a couple months. When I was looking to build my sewing confidence, I decided to take the Ultimate Trousers class at Sew Over It‘s Islington shop. The trousers actually turned out really well, and it was the boost I needed to keep making apparel. Since then, I’ve been a major Sew Over It fangirl. Their patterns are stylish and versatile, and not too complicated (depending on the pattern of course). I love Lisa’s style too and enjoy her vlogs. The fabric is this soft, drapey rayon from their store. I don’t think they have it anymore but it’s called “pick up sticks”. I actually have a number of pieces of fabric from their store that I’m saving up for the perfect project. The Ultimate Shift Dress is a beginner pattern, and has a lot of room for hacking and creativity. All you need to do is watch Lisa’s Shift Dress video to see all the variations you can make with it! 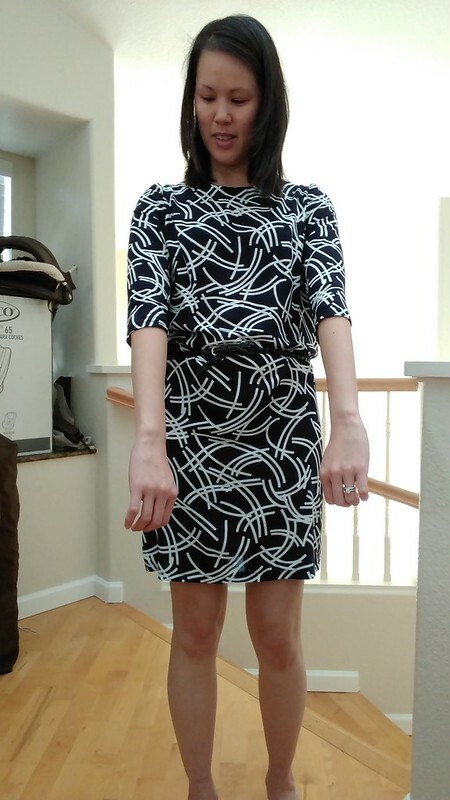 Unlike other Sew Over It makes, I needed to make a few adjustments to the Ultimate Shift Dress pattern for it to fit me well. I’ve been fortunate that other patterns have needed little to no adjustment. 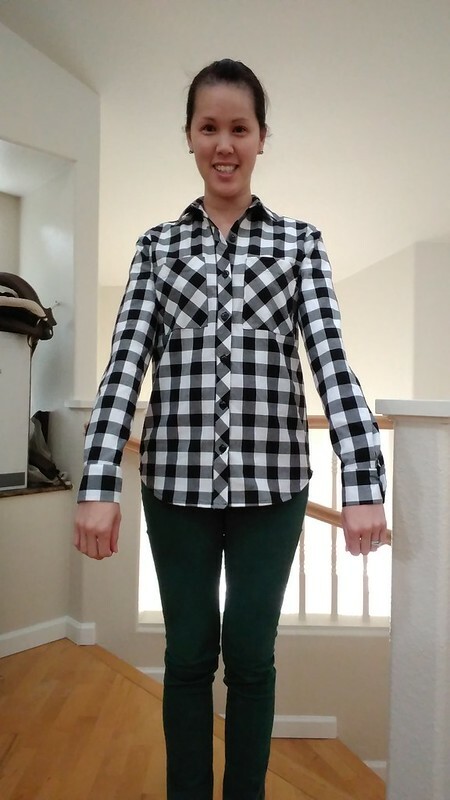 My bust size falls into a size 8, hips in size 10 and shoulders in size 12. After some trial and error, I have it worked out. From the neck to the lower armscye, it’s size 12, the rest is size 10 and the bust dart is at the size 8 point. Since the armscye are size 12, so are my sleeves. The great thing about this is not only does it fit my shoulders perfectly, but it’s loose enough where I can get it over my head without the back opening. Win! I finished this dress the morning of a celebration we had with friends and family for my daughters 100 days of life. It’s a Chinese tradition called Red Egg and Ginger. 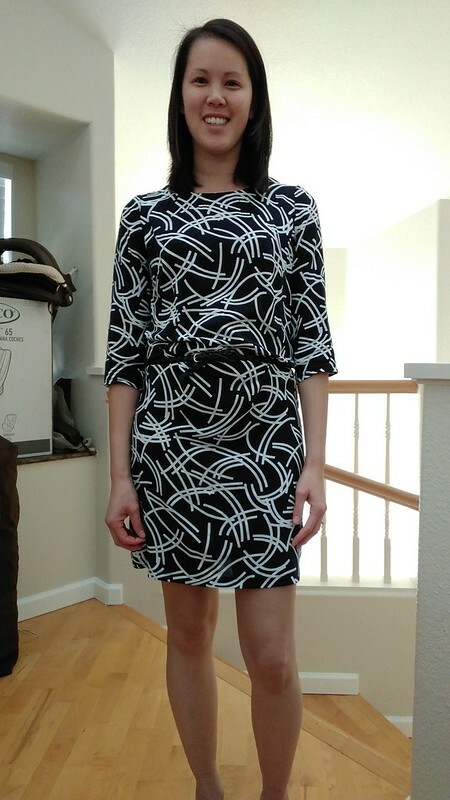 Since the dress is shorter when cinched in with a belt, I wore it with tights. I prefer it with a belt because it gives me (and the dress) more shape! 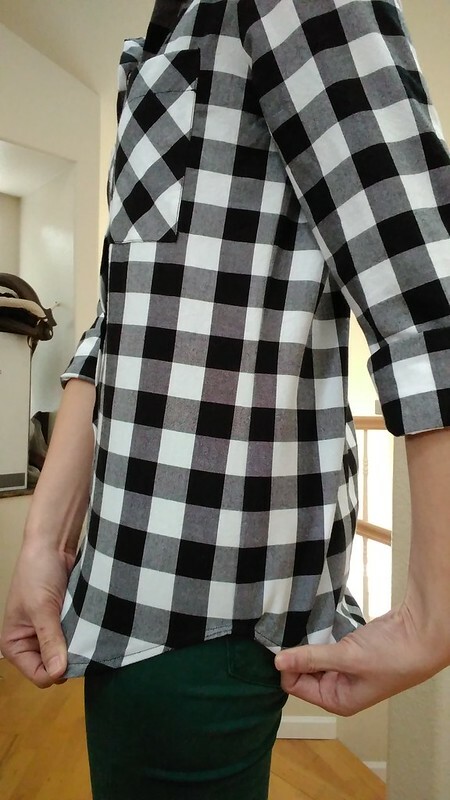 I made this version with elbow length sleeves. I have an idea for my next make using this pattern. It’ll likely be a hacked top version. It’s a few down in my sewing queue so it may not be for a little.